Mahmoud Mehdinia, S., Moeinian, K., Rastgoo, T. (2014). Rice Husk Silica Adsorbent for Removal of Hexavalent Chromium Pollution from Aquatic Solutions. 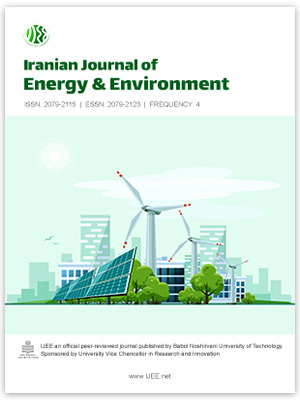 Iranian Journal of Energy and Environment; previously called: Iranica Journal of Energy & Environment, 5(2), -. Seyed Mahmoud Mehdinia; Khalilollah Moeinian; Tayyabeh Rastgoo. "Rice Husk Silica Adsorbent for Removal of Hexavalent Chromium Pollution from Aquatic Solutions". Iranian Journal of Energy and Environment; previously called: Iranica Journal of Energy & Environment, 5, 2, 2014, -. Mahmoud Mehdinia, S., Moeinian, K., Rastgoo, T. (2014). 'Rice Husk Silica Adsorbent for Removal of Hexavalent Chromium Pollution from Aquatic Solutions', Iranian Journal of Energy and Environment; previously called: Iranica Journal of Energy & Environment, 5(2), pp. -. Mahmoud Mehdinia, S., Moeinian, K., Rastgoo, T. Rice Husk Silica Adsorbent for Removal of Hexavalent Chromium Pollution from Aquatic Solutions. Iranian Journal of Energy and Environment; previously called: Iranica Journal of Energy & Environment, 2014; 5(2): -.